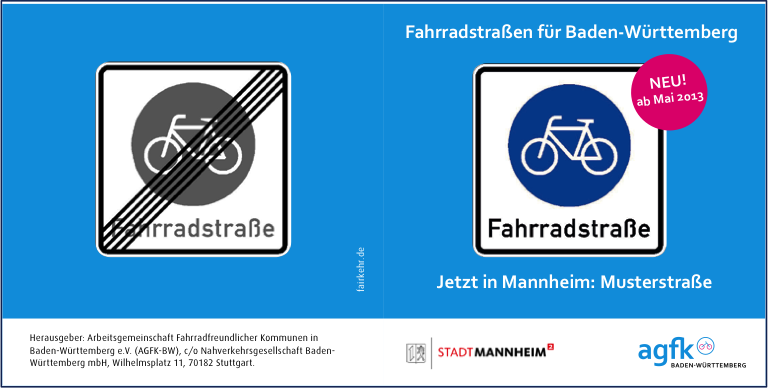 The bike-friendly municipalities of Baden-Württemberg are aiming to encourage huge numbers of their citizens to get on their bikes. tippingpoints formulated a comprehensive communication concept in order to support the AGFK BW in their campaign, including the creation of a brand, marketing materials, best practice examples and hosting workshops to get the message out. We also developed a three-year communications strategy to outline the topics and timings as the campaign progresses. The campaign has been a great success – the AGFK now has a modern, unified approach and is widely respected for its work, and the number of municipalities involved has risen from 26 to 39.